Also known as Community Acupuncture, we offer Low Cost, Open Room Acupuncture sessions. Making Acupuncture and Wellness Medicine more accessible. More complex problems often require more complex care for the best results. Your consulting practitioner will advise & guide you. Helping you find the best way forward. Our open room acupuncture setup allows for up to 6 people in the same room to be treated at the same time. These sessions allow for you to be fully clothed, seated in a reclining chair to receive acupuncture only. One practitioner will attend to you, then whilst you are relaxing with your acupuncture needles in place, the practitioner can then attend to other patients. In this way we can offer treatment at a cheaper rate than if you had a private room and practitioner all to yourself. We highly recommend that you have a brief private room session initially. Then your consulting practitioner will make an individualised diagnosis & treatment plan for you, just like a personal trainer at the gym. Then the treating practitioner in the open room session can follow it, ensuring that you get the best treatment possible. If this doesn't suit you, it's OK, you can simply book an Open Room session which can still help you. Either way, you can book in by simply giving us a call on 9486 5966, or click here to book online. Our HICAPS facility means that if you have extras cover with the participating health care funds we can process your rebate directly through the clinic meaning you only have to pay the gap. Your consulting practitioner will be able to tell you this as it's based on your individual case. It usually takes 4 - 6 sessions to alleviate symptoms AND prevent them from coming back (ie. treating the cause). Why have Open Room Acupuncture? Both patients and practitioners have noticed an increase in healing and recovery potential when treated together in a community environment. Patients have noted that they do not feel as isolated, which helps to humanise their illnesses. Another major advantage for patients is increased affordability. Patients have reported that because of the low cost of treatments, they can afford to come in more often. Or perhaps be able to afford two therapies at the same time. In order to be effective for certain conditions, acupuncture is best performed intensively. This is the way Acupuncture has been done in China, for thousands of years. 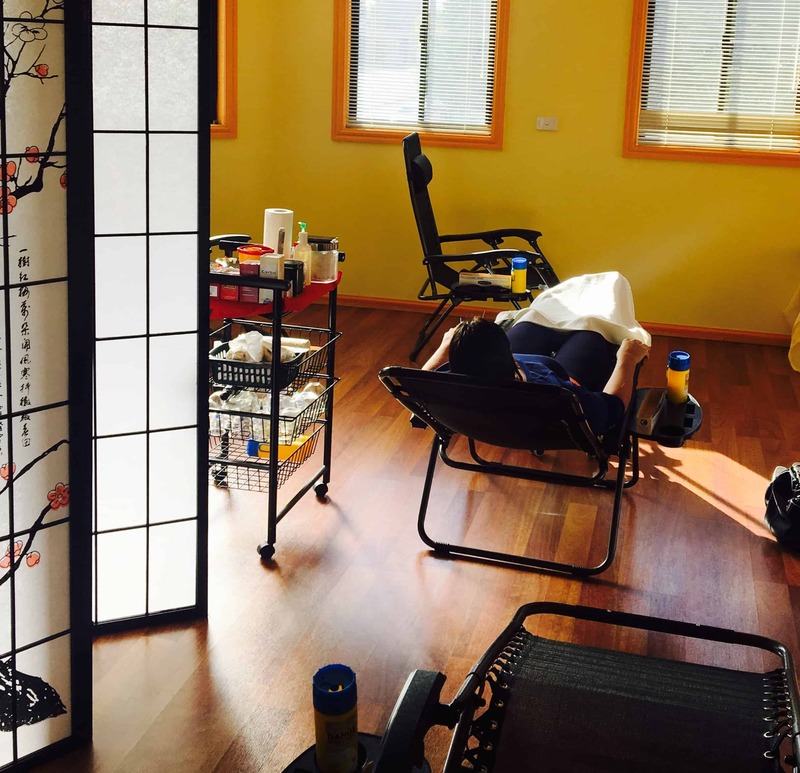 Here at Freedom Chinese Medicine, all of our patients are treated in a relaxed and comfortable setting for optimum healing results!